The Rev. Valerie Bridgeman, Ph.D. is the founder, president, and CEO of WomanPreach! Inc. She was recently appointed as Dean and Vice President for Academic Affairs at the Methodist Theological School in Ohio after serving one year as Interim Dean. She also is Associate Professor of Homiletics and Hebrew Bible since 2015, after having served as Visiting Professor for a year and a half. She is an alumna of Austin Presbyterian Seminary (MDiv), and received their Distinguished Alumna Award in 2018. She holds a Doctorate of Philosophy in Biblical Studies, with a concentration in Hebrew Bible, from Baylor University. Dr. Bridgeman has taught preaching/homiletics, liturgy, and Biblical Studies for over twenty years. Licensed in 1977 and ordained in 1985, she is a dedicated preacher, Biblical scholar, visionary, and artist. Her experience includes decades of preaching, pastoring, leading workshops, mentoring, writing, and creating art that has inspired generations of clergy, community leaders, and artists. Ms. Jaha Zainabu is a Los Angeles-based internationally acclaimed poet and visual artist. As the Artist-In-Residence for WomanPreach! Inc., she provides poems, stories, and insights for each programming event. She released her third book of poetry,365.2013: A Poem A Day Series in 2017. She performs all throughout the U.S. and has been featured on HBO’s Def Poetry Jam. She leads workshops on writing for healing, social justice writing, and works with young people on their poetry skills. In addition to poetry and storytelling, Jaha is a visual artist and photographer. Jaha is currently a Creative Writing Instructor for the Community Literature Initiative in Los Angeles, CA. Minister Jené Ashley Colvin is the current Program Manager and a former FTE Mentee for WomanPreach! Inc. (2016-2018). She is also currently the Ministry Coordinator for Christian and Interfaith Engagement in the office of Religious Diversity and Pastoral Care in DePaul University’s Division of Mission and Ministry in Chicago, IL. Min. 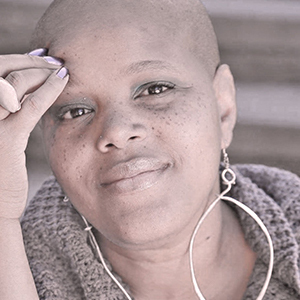 Jené severed for over three years at Trinity United Church of Christ in Chicago, IL as the Administrative Coordinator for Community Engagement & Transformation and in various other capacities. She holds a Masters of Divinity from McCormick Theological Seminary, where she focused her studies on race, gender, and sexuality. She is a member of the Inaugural Prophetic Preaching Lab Cohort (Organized by Rev. Dr. Otis Moss, III in partnership with Auburn Theological Seminary) and a member of the Sojourner Truth Leadership Circle (Auburn Seminary). Licensed in 2009, Min. Jené Colvin has worked in various ministry contexts including social justice, campus and young adult ministries, supporting women in ministry, drama & theater, community development, and creating faith building and fellowship experiences for people of African descent.